Courtesy of Mitsuru Matsumoto, M.D., Ph.D. Individual thymic medullary areas identified by their binding with Ulex europaeus agglutinin 1 (UEA-1) (in green) are smaller in size and less frequently connected with each other in LTβR-deficient mice (top right). In addition to the disrupted thymic organization, LTβR-deficient mice lack peripheral lymph nodes (middle right) and show the disturbed segregation of T-cell (in red) and B-cell zones (in green) in the spleen (bottom right). 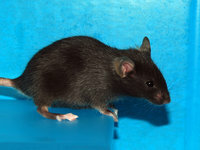 Left panels serve as control from wild-type mice. The thymus is an endodermal epithelial organ where T cells gain the ability to discriminate between self and non-self. T-lymphoid progenitor cells are induced in the thymic cortex to differentiate into thymocytes, which develop into immunoregulatory T cells or are deleted by apoptosis in the thymic medulla. Stromal medullary thymic epithelial cells (mTECs) play a key role in this process by expressing a variety of tissue-restricted antigen (TRA) genes. The significance of TRA gene expression for the establishment of central tolerance is supported by the fact that mice deficient in individual TNF receptor superfamily (TNFRsf) members have reduced TRA gene expression and that transplantation of these embryonic thymi into normal mice induces autoimmune responses [1-3]. In addition to the individual role of each TNFRsf signal in mTECs, the combined action of multiple TNFRsf members RANK and CD40 has been demonstrated . Whereas only the RANK signaling pathway mediates mTEC development during embryogenesis, cooperation between RANK and CD40 signaling is essential in postnatal mice to establish the medullary microenvironment. Matsumoto and colleagues demonstrated that another TNFRsf member, lymphotoxin-β receptor (LTβR), which is essential for the development of lymphoid organs , also mediates the development of mTECs cooperatively with RANK signaling, but not with CD40 signaling, at the embryonic stage . 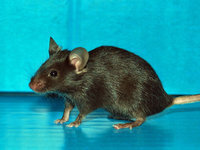 Mice deficient in both LTβR and RANK ligands showed markedly fewer mTECs than mice singly deficient in these molecules. They also revealed that fetal thymic organ culture with an agonistic anti-LTβR antibody induces RANK expression in the thymic stroma, thereby promoting mTEC differentiation. ThislacZ-tagged LTβR deficient mouse strain will help to clarify thymic organogenesis mediated by multiple cytokine signals. Researcher : Mitsuru Matsumoto, M.D., Ph.D.
References :  Kajiura F, Sun S, Nomura T, Izumi K, Ueno T, Bando Y, Kuroda N, Han H, Li Y, Matsushima A, Takahama Y, Sakaguchi S, Mitani T, Matsumoto M. NF-kappa B-inducing kinase establishes self-tolerance in a thymic stroma-dependent manner. J Immunol; 172(4):2067-75, 2004. Akiyama T, Maeda S, Yamane S, Ogino K, Kasai M, Kajiura F, Matsumoto M, Inoue J. Dependence of self-tolerance on TRAF6-directed development of thymic stroma.Science; 308(5719):248-51, 2005. Kinoshita D, Hirota F, Kaisho T, Kasai M, Izumi K, Bando Y, Mouri Y, Matsushima A, Niki S, Han H, Oshikawa K, Kuroda N, Maegawa M, Irahara M, Takeda K, Akira S, Matsumoto M. Essential role of IkappaB kinase alpha in thymic organogenesis required for the establishment of self-tolerance. J Immunol; 176(7):3995-4002, 2006. Akiyama T, Shimo Y, Yanai H, Qin J, Ohshima D, Maruyama Y, Asaumi Y, Kitazawa J, Takayanagi H, Penninger JM, Matsumoto M, Nitta T, Takahama Y, Inoue J. The tumor necrosis factor family receptors RANK and CD40 cooperatively establish the thymic medullary microenvironment and self-tolerance. Immunity; 29(3):423-37, 2008. Matsumoto M, Fu YX, Molina H, Chaplin DD. Lymphotoxin-alpha-deficient and TNF receptor-I-deficient mice define developmental and functional characteristics of germinal centers. Immunol Rev; 156:137-44, 1997. Mouri Y, Yano M, Shinzawa M, Shimo Y, Hirota F, Nishikawa Y, Nii T, Kiyonari H, Abe T, Uehara H, Izumi K, Tamada K, Chen L, Penninger JM, Inoue J, Akiyama T, Matsumoto M. Lymphotoxin signal promotes thymic organogenesis by eliciting RANK expression in the embryonic thymic stroma. J Immunol; 186(9):5047-57, 2011.